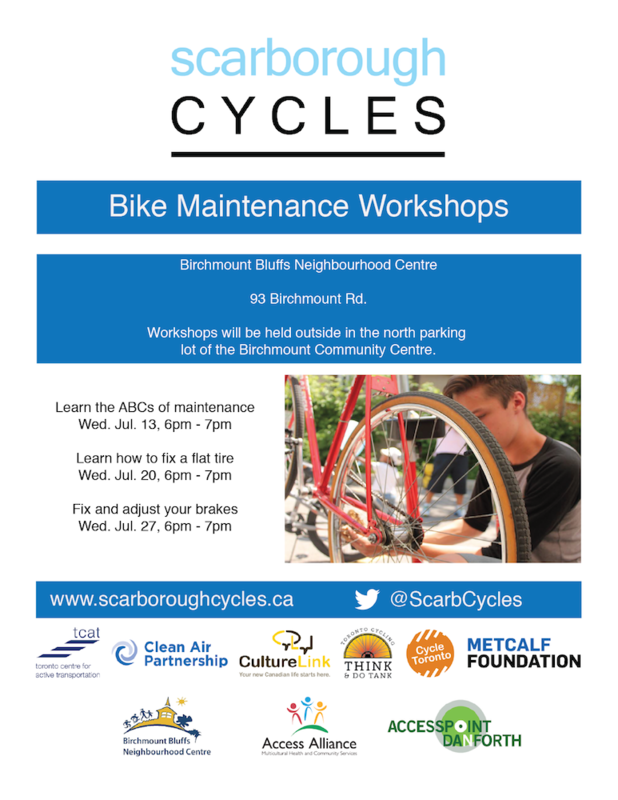 Join us and learn how to fix and maintain your bike. Identify problems before they develop into safety hazards. Participants are encouraged to bring their own bikes. Beginners are welcome! Workshops will be held outside in the north parking lot of the Birchmount Community Centre.